When a software solution is required to solve a problem or advance your business, it can be hard to know where to start. One of the first questions is: is there an existing software package that will suit your needs, or do you need something specifically designed for your business? I can help you here. I have experience of selecting and customising off-the-shelf software, but my speciality is in creating custom-built solutions to difficult problems by producing online applications, both public and private, to meet specific business needs. I work on software applications designed for use on mobile devices, and for use on larger devices such as desktop and laptop computers. I specialise in web technologies, which means that the software functions across all devices and operating systems. I have over ten years’ experience in creating custom-built web applications, with varying levels of complexity. Here is a small selection of the custom-built projects which I have completed. 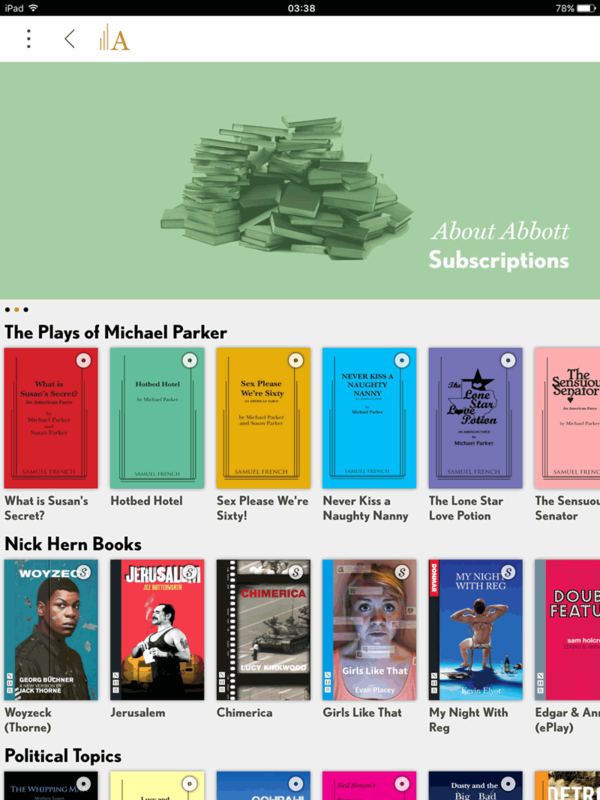 Samuel French is an international publisher of plays and musicals, and they required an easy way for customers to subscribe, rent and read plays on desktop and mobile devices, including advanced features such as notes and highlighting. The most common solution is to create a native app, available in the Android and Apple app stores. The main downside for Apple devices (iPad, iPhone) is that Apple would take a 30% cut of subscription fees – which would make the entire concept unviable. So instead we created a web app, which works in the same way as a native app (launches full-screen, works offline) but installs via their website, instead of the app store. In addition, the app works on other operating systems, all from a single code-base. We were able to integrate the app's database with their existing content management platform, so Samuel French now has an online storefront for ePlay purchase and rental, controlled entirely by the company themselves using software which is already familiar to their staff. This company had previously experienced difficulties finding a developer to create a web-shop to sell their large range of telecoms equipment for years without success. The problem with off-the-shelf software was that the parts that make up a telephone system connect together in unusual and specific ways, and no existing package could capture the specific and nuanced relationships between products. So a custom-built database and web-shop was created, which fit the needs of the client, and connected easily with their existing offline database. 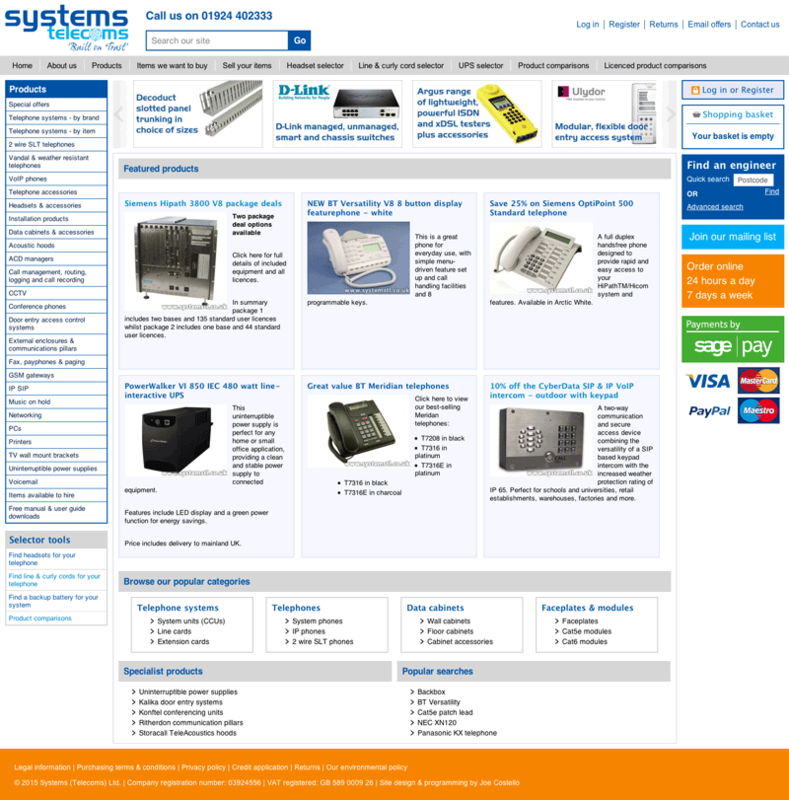 Since the web-shop was launched, I have continued to work with the client, creating extra features for the site as requested – such as their Installer Network (geographical listings of installers), product selectors (which help customers find other items which are compatible with their model of office phone), and many other customer-facing and back-end improvements. Magical install the brightly-coloured games which you may have seen on school playgrounds. They had a contract to provide a large number of playgrounds within a year, but their existing system of designing playgrounds was cumbersome and very slow, involving visits to site and multiple rounds of drawing, printing out and posting designs back and forth. 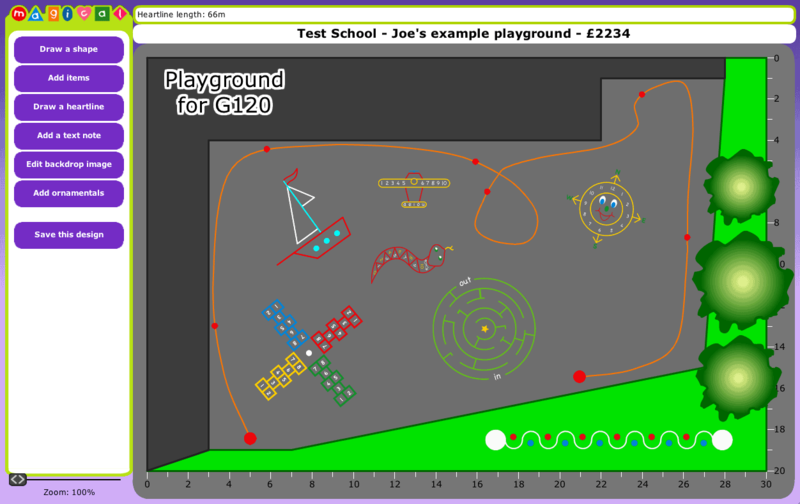 So we created an online playground designer tool, which enables mapping data to be imported in order to plot the playground boundaries, then the school themselves can log on and simply drag-and-drop their chosen designs onto the playground area. Thanks to this tool, the time needed to design a finished playground fell from months to mere days. Since completion, I have also integrated their product catalogue into a web-shop, so now customers can place orders through their website. I also created an easy-to-use custom CMS system so that Magical staff can edit the website pages themselves. So if you'd like to discuss a custom software project, whether it is to be built from scratch or integrated into an existing set-up, please get in touch.